A new tax credit gives Broadway tours more incentive to begin their tours and do the tedious and lengthy tech process in New York State. “Jersey Boys” recently kicked off their National Tour right here in Syracuse and spent much more time here than just the nights they had an audience in the Landmark Theater. We chatted with Albert Nocciolino, President & CEO of NAC Entertainment, about how this new tax credit is similar to the one that encourages movies to be filmed within the state. He let us know that “Jersey Boys” will be just one of many shows planning to begin their production in Syracuse and other cities within the state. After all, Broadway is an asset of New York so if a tour is looking to begin a production somewhere, it’s great to be able to do so within the state. We also spoke with Richard Hester, the “Jersey Boys” Tour Production Manager who spoke to why Syracuse and the Landmark Theater are both ideal places to begin a tour. He discussed the convenient location close to Armory Square, the helpfulness of staff and that it was the perfect location to tech the show. Not only is it great for the productions to begin their tours here in Syracuse, it’s good for the community as well. The theatrical productions draw thousands of people downtown who make use of shops, restaurants and hotels. 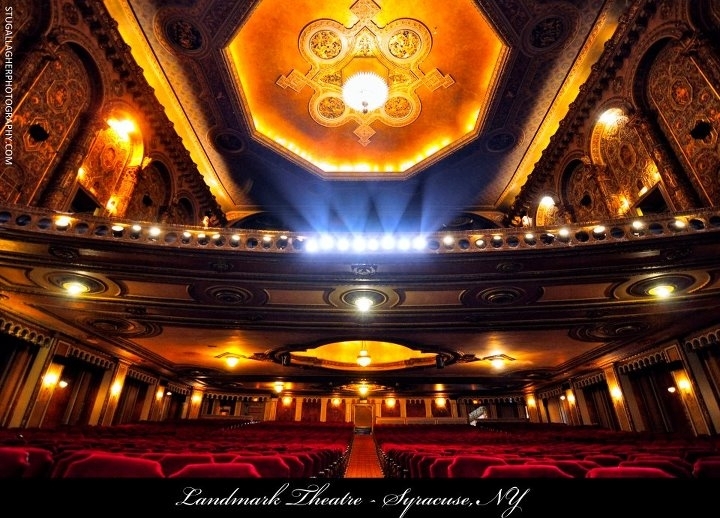 A thriving theater scene not only brings in talent but brings in big revenue for the city. The economic impact also extends further as many of the productions hire local stage hands to help the tour staff. NAC Entertainment along with Famous Artists began their season with “Jersey Boys” but have many other productions coming through in the next year. The next show that will be in Syracuse will be “Once” from October 18-20th. For more information on upcoming shows or to get tickets, click here.